Kirkwood Builders just Won our 8th "Best of The Best" awards. 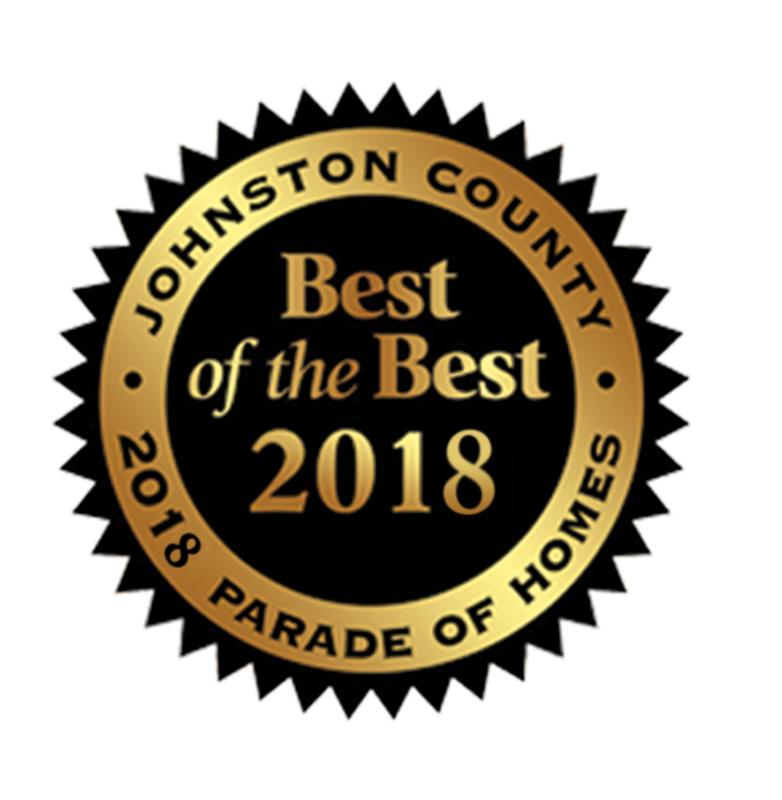 We are proud to announce that we just won our 8th “Best of the Best” awards for our custom home build in the Portofino neighborhood in Portofino-Clayton, NC. This was a spec house build that is already sold, but the future homeowner was kind enough to let us keep it for an extra month, to display it on the parade of homes circuit. After the awards that it received, that has to be a good feeling for the new owners! This latest award is really just one measure that we use to validate that we are staying true to what we are all about as a company. For us, the greatest feeling is being able to deliver these homes to families that fit their lifestyles, and really brings them great satisfaction, and sense of personal fulfillment. The awards are very nice, and we certainly enjoy them, but the amount of smiling faces is what brings us the greatest sense of accomplishment. We have been building in the Triangle area for over 15 years now, and our goal is to make every house better than the last one. We have a true drive to provide the very best quality house for the money, and we work hard every single day to get even better. 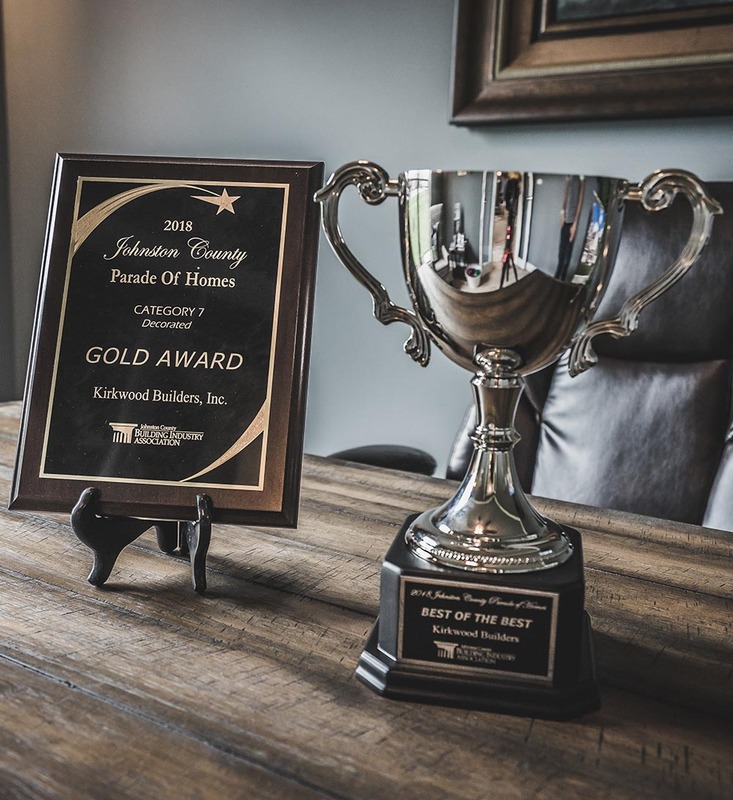 Whether you are in Clayton or Raleigh, or anywhere in the Triangle area, would love the opportunity to build you the next award-winning home. With Kirkwood Builders, getting a well built home is a guarantee. Award-Winning Home Build Track Record. Best in Class Build Techniques. Don’t forget to come to the City Council Meeting Thursday, Nov.5th, at 7 PM. Council could vote on a resolution regarding development of the Library Lot. Wednesday, Nov.4th is your opportunity to talk with the developers of the 2 proposals for the Library Lot and see their plans. 4-7PM in the City hall Lobby.